Game of Thrones fans may know that “Winter is Coming” – but first: FALL! 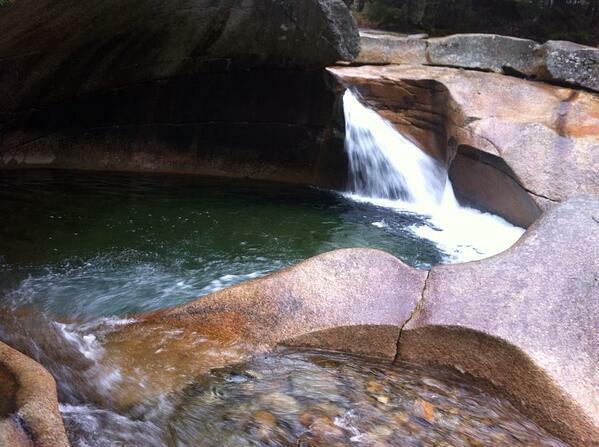 Mid-September to mid-October is a spectacular time to be in the White Mountains. Our region is known for a few things: the mountain ranges, the waterfalls, the lakes and streams, the crusty accents, and the unforgettable fall foliage. We’ve already put together our list of Four Favorite Fall Foliage Hikes in the White Mountains, so break out your fleece vest and lace up your hiking boots in preparation for the workout and the AMAZING pictures you’re going to end up with after checking out those hikes. Sometimes a nice long sight-seeing drive with the family is a great way to cap off a vacation getaway, though. 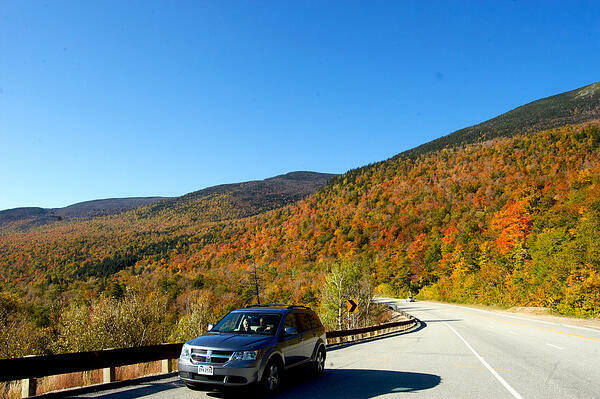 Luckily, the White Mountains region is host to some of the top scenic drives in the country. If you’re a serial vacationist to the White Mountains, you have probably heard or visited these byways before. Visiting them during fall foliage, though, when the mountains glow with the burnished reds and ripened-grape purples heralding the passage of the seasons? That is an experience in a class of its own, and it is NOT to be missed. 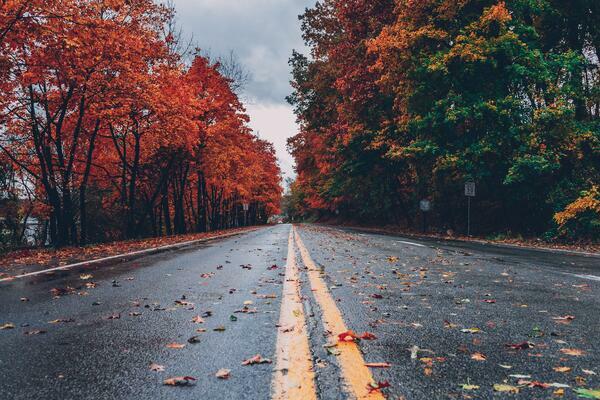 This loop could be the beginning and end of every account of fall foliage scenic drives in the country, and it would still be a complete list. 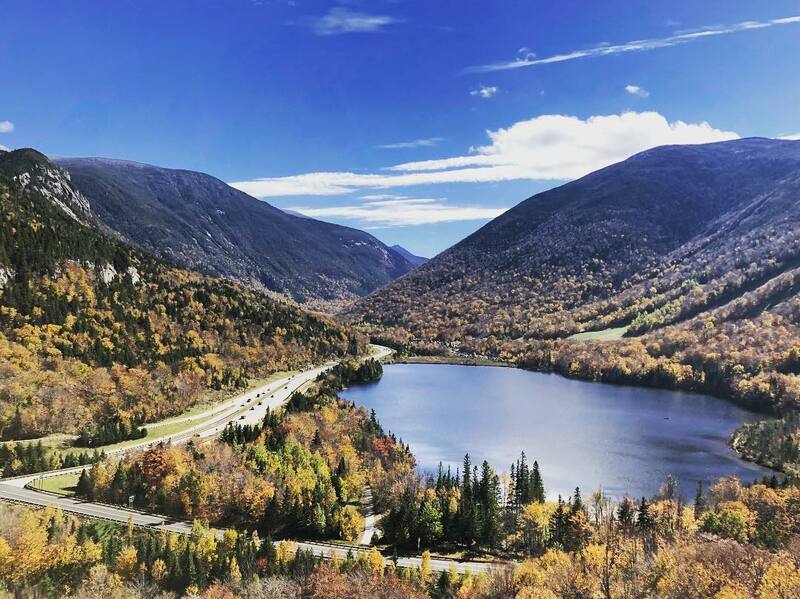 If there is one place to make time to see in peak foliage before you depart from God’s green earth, it would be the Kancamagus Highway to Crawford Notch to Franconia Notch loop around the White Mountains. The Swift River meanders adjacent to the drive and flows into the East Branch of the mighty Pemigewasset on the west and the Saco River on the east. Pull over for a picnic at Lower Falls near the eastern base of the Kancamagus Highway to explore the river and its cascades up-close. After driving “the Kanc” (as the locals say) from Lincoln to Conway, take Route 16/302 through North Conway, then stay on Route 302 at the town of Glen (the family-friendly fairy tale theme park Story Land is located here) to continue through Crawford Notch State Park. Route 302 traverses Crawford Notch for 30 miles from Glen to Twin Mountain. You will find multiple hikes and scenic stopping points, including Arethusa Falls, Silver Cascade, Elephant Head and more. At the town of Twin Mountain, take Route 3 toward Franconia for 12 miles before merging onto the I-93 through Franconia Notch State Park. Ah, Franconia Notch – home of the Cannon Mountain Aerial Tramway, the Flume Gorge, the Basin, the first reported alien abduction in the US, and the site of the former Old Man of the Mountain. Athletic persons may want to check out the hike up Lonesome Lake from the Lafayette Campground parking lot, or the all-day not-to-be-missed Franconia Ridge hike. Those less-sporting types will enjoy the paths and walkways around the Basin (a natural whirlpool rock formation) near Exit 33A. The drive between Franconia and Lincoln is approximately 17 miles. Total driving time for the whole loop verges near 2 hours and 15 minutes, and that is without stops or traffic from foliage rubberneckers. With hikes, pictures, lunch and a little bit of shopping at the outlet mall in North Conway, you could easily make this scenic loop into a full-day excursion. The Pinkham Notch Loop also goes through Crawford Notch, and those staying with us in Lincoln will need to take either the Kancamagus Highway or the Franconia Notch Byway to return to your home-away-from home. From Glen, take Route 16 toward Gorham, NH through Pinkham Notch, home of the town of Jackson, Wildcat Mountain and the Mt. Washington Auto Road. Jackson is the epitome of a quaint, picturesque New England town with white churches, covered bridges, a perfectly manicured golf course and mountains in the background. Stretch your legs along the 1.5-mile paved walking loop around the village and over two covered bridges. Wildcat Mountain offers gondola rides to the summit, where you can see all the way to the Atlantic Ocean. The Mt. Washington Auto Road allows drivers up the tallest mountain in the Northeast for a fee of $29 plus $9 per adult passenger and $7 per child (5-12 years). The last 2,000 feet of elevation up the peak are above treeline, so the fall foliage views are panoramic and second-to-none. …stay on Route 2 toward Jefferson (and the popular holiday-themed amusement park Santa’s Village) all the way to Lancaster, NH, the town that marks the division between the White Mountains and the Great North Woods. Lancaster’s Main Street is home to a handful of boutiques and cafes, and the historic Lancaster Rialto movie theatre, built in 1932. 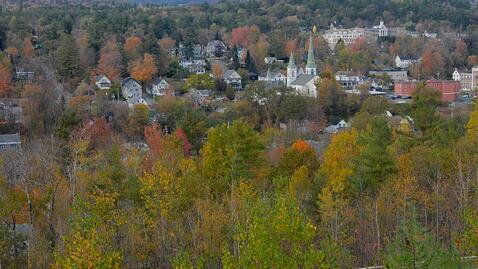 From Lancaster, head back South on Route 3 toward Whitefield, and then continue on Route 116 to Littleton, NH. Littleton’s Main Street is consistently included on lists of best small-town downtowns in the country. With boutiques, consignment shops, music stores, specialty restaurants, the longest Candy Counter in the world, and a top-notch microbrewery, it’s not hard to see why. A historic walking tour around Littleton passes 23 historic sites, the Moore Dam reservoir and a 300-foot covered bridge spanning the Ammonoosuc River. 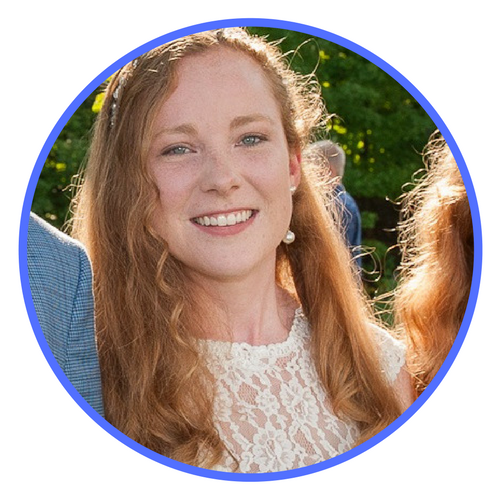 From Littleton, you can get back on I-93 South toward Bethlehem, or stay on Route 116 to Sugar Hill, a town with some of the loveliest back roads winding through farms and rural countryside. Looking for a leisurely afternoon? Stop at the Robert Frost Place, the New Hampshire’s poets one-time farm, or look back through alpine skiing’s history at the New England Ski Museum. Eventually, it will be time to head toward Franconia, and from there, take I-93 South through Franconia Notch back to Lincoln. For the cost of a tank or two of gas and some wear to your tires, you’ll have spent the better part of a day (or a week) exploring the most beautiful place on earth. Don’t believe me? I wouldn’t lie to you – but it’s simply something you must see for yourself. We look forward to welcoming you soon to RiverWalk Resort… and fall in the White Mountains.